Hello my lovelies! I know I say this every Monday, but this weekend went by too fast. At least I managed to do some nail art and I'm showing you the first look today. 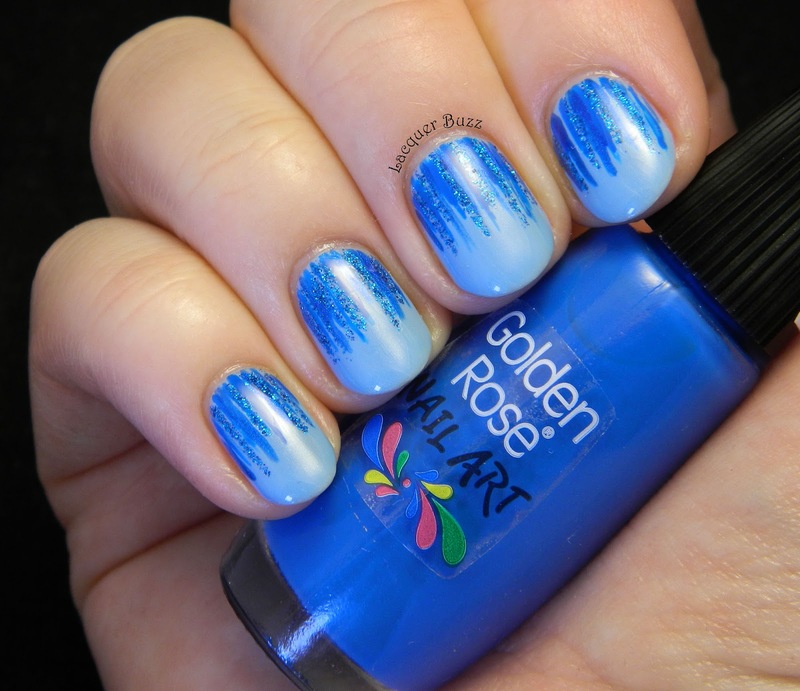 I finally decided to create a waterfall nail art because I really wanted to use some nail art polishes that I received from Golden Rose Romania. 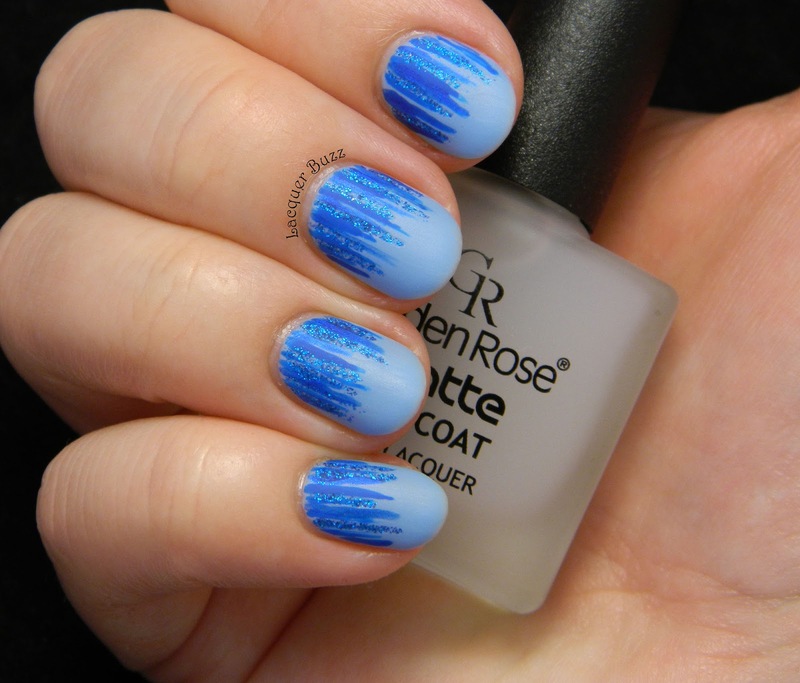 If you don't know what a waterfall mani is, you should check out this tutorial by The Nailasaurus, who is also the inventor of this look. I'm not very sure if my waterfall nails look like they should but I think it's ok for a first attempt. I only used Golden Rose polishes to create these nails. I started with a base of Golden Rose 132 from the Paris line. 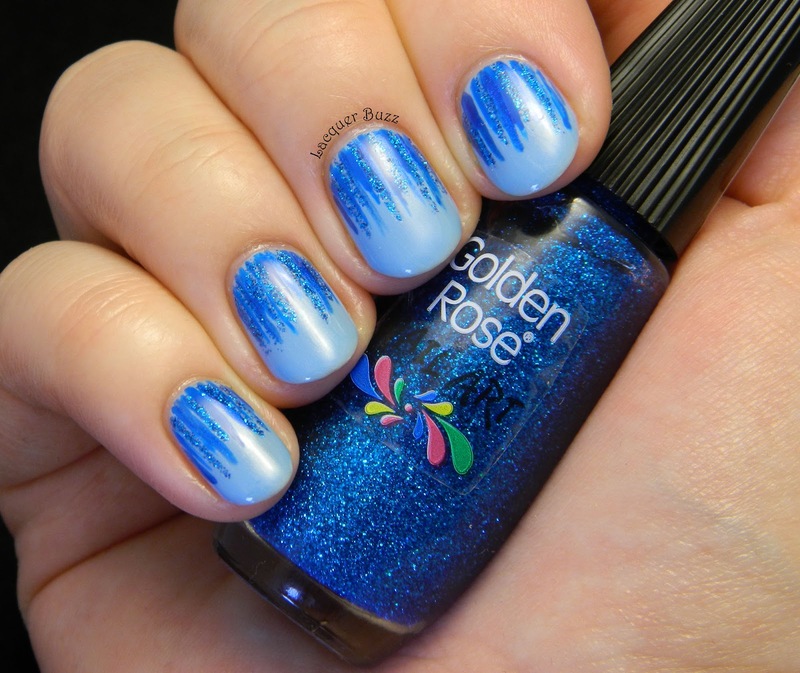 This is one of the first Golden Rose polishes I ever purchased and I still love it because it has a lovely light blue color with tiny silver shimmer. It's very sheer though, so at least 3 coats are needed. 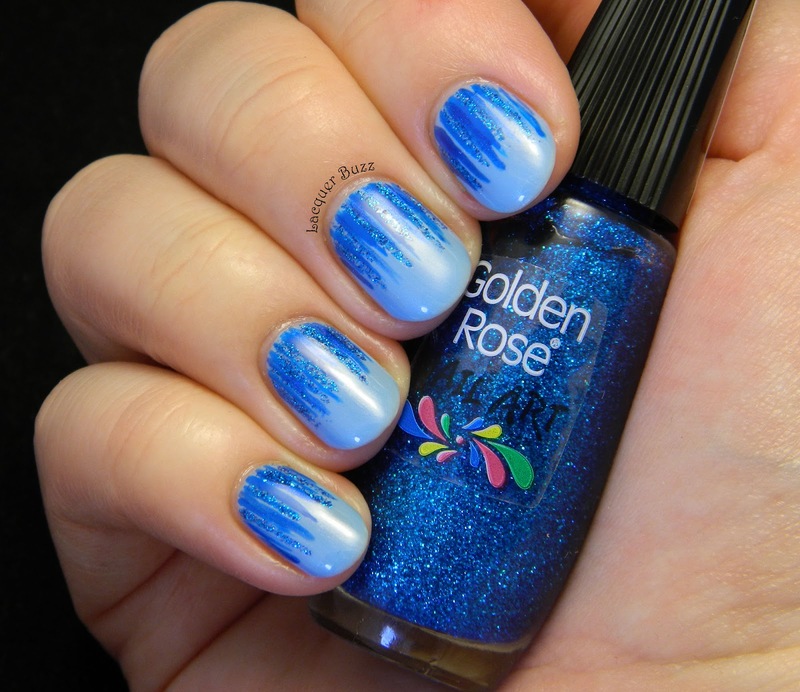 For the waterfall lines I used Golden Rose Nail Art 110 (blue glitter) and 126 (blue creme). I also added some darker blue lines with Golden Rose Paris 53 and a thin brush. After enjoying this manicure with a shiny top coat I decided to mattify it using the Golden Rose Matte Top Coat. It applied nicely and dried fast to a completely matte finish. Here's the result. It's really hard for me to decide which version is my favorite. I love this manicure both shiny and matte. I forgot how much I love matte nails and I'm definitely gonna do some more soon. Hope you enjoyed my first attempt at waterfall nails. Please comment below and tell me what you think. And don't forget to tell me if you prefer them shiny or matte. 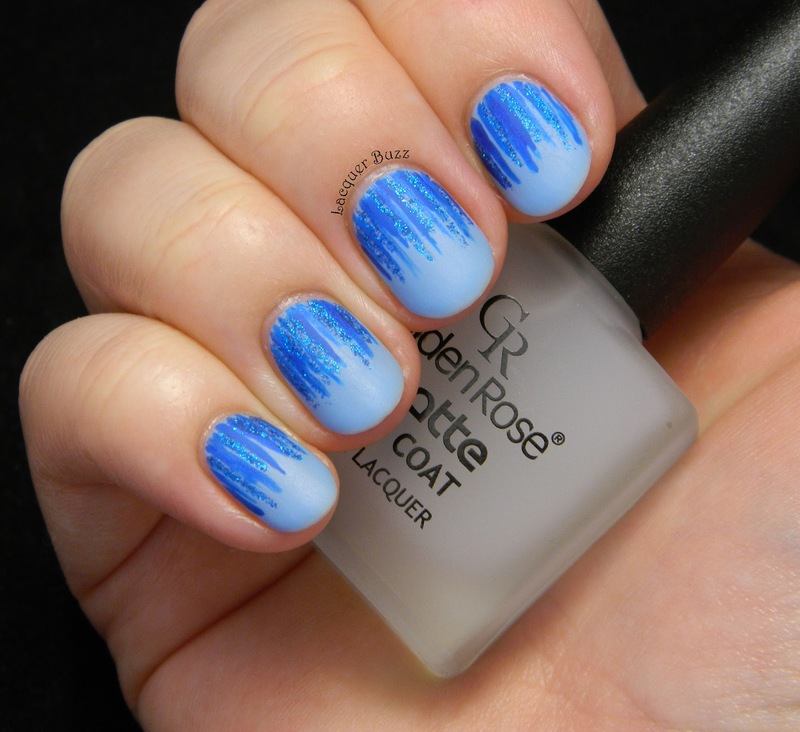 If you wanna check out some more blue manicures click on the links below! Disclaimer: Golden Rose Nail Art 110 and 126 and Matte Top Coat sent for review consideration. For more info see my official disclosure policy. Iubesc aceasta tehnica, arata minunat si este foarte usor de creat. Eram curioasa de oja matifianta, pentru ca eu sunt mare fana a manichiurilor mate si vazand efectul o sa mi-o achizitionez si eu in curand! What a pretty all blue waterfall. It looks great glossy or matte too. Ps: nu se vede ca esti prima incercare!